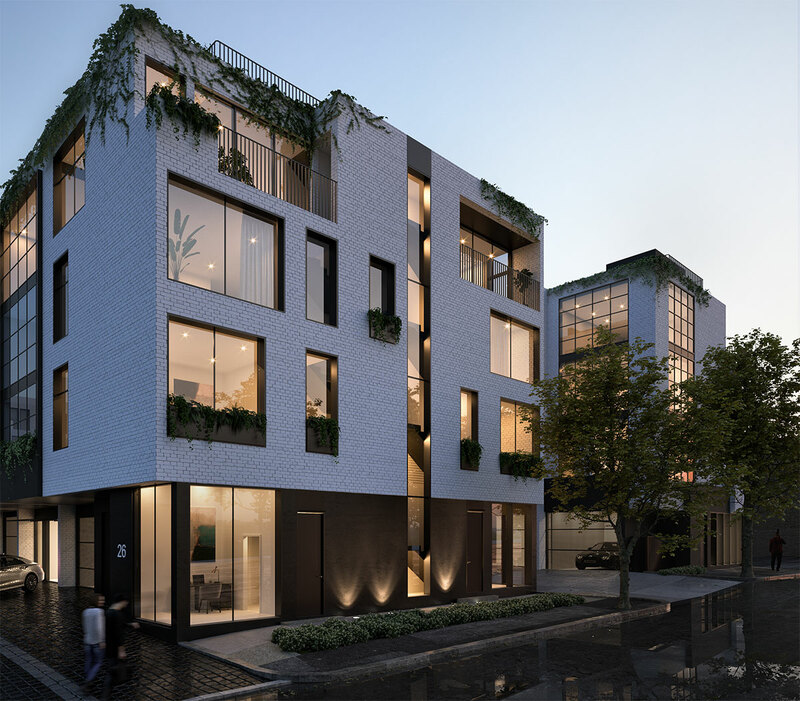 Situated in one of the last authentic inner-city neighborhoods, Townhaus fuses the creative edge of Melbourne’s north with the natural setting of West Melbourne. Here, the unique beauty and spirit of the neighborhood is invited indoors with a space designed for artistic minds and open hearts. Townhaus is inspired by a Bauhaus principle that unifies practical and creative art forms in a beautiful expression of refined architecture. 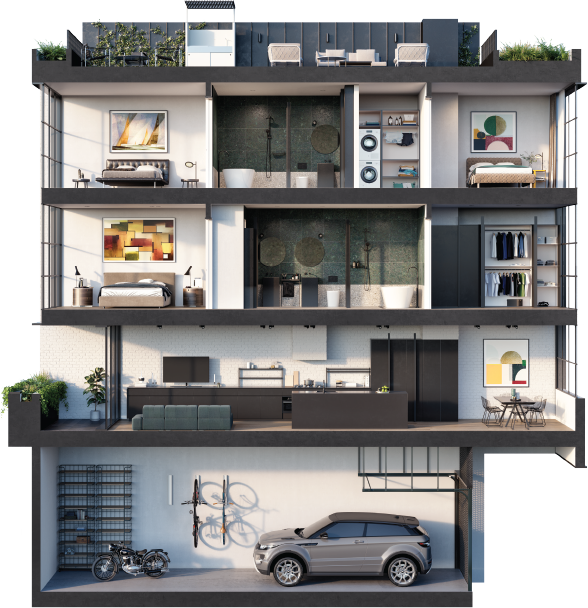 Upholding this minimalist approach, the exteriors and interiors of these 37 townhomes are stripped back to create raw and positive spaces that energize and invigorate those living within. Situated in one of the last authentic inner-city neighborhoods, Townhaus fuses the creative edge of Melbourne’s north with the natural setting of West Melbourne. Here, the unique beauty and spirit of the neighborhood is invited indoors with a space designed for artistic minds and open hearts. The central focus of Townhaus is of community, life and connection - an emphasis evident in the design. Attention is constantly brought back to living areas that feature large open plans, inviting both family and guests to gather in warm and light-filled spaces. This design intent culminates in a lush communal courtyard that encourages residents to spend time with one another, swapping stories as they relax under a leafy canopy.